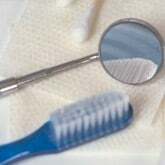 DentalPlans.com provides a hassle-free way to find a dentist in Woodstock, GA in our extensive dentist directory. Just type in your ZIP code now to find a money-saving discount dental plan and participating dental care providers in Woodstock, GA. Join the plan that best fits your needs and get ten percent to sixty percent off most dental care procedures from participating dentists like Dr. Erika M Venn. Then, you can make an appointment with Dr. Erika M Venn in Woodstock to enjoy savings on General Dentistry according to your plan's fee schedule. We feature more than 30 discount dental plans that can provide you with significant savings on most dental care procedures like on General Dentistry and more. If you are looking for an affordable dentist in your area, DentalPlans.com features over a hundred thousand participating dentists listings in combined networks such as orthodontists, endodontists, pedodontists, and more. So whether you have a toothache, need a root canal or just want your teeth bleached, our qualified Woodstock dentists or dental care specialists can help address your dental care needs.